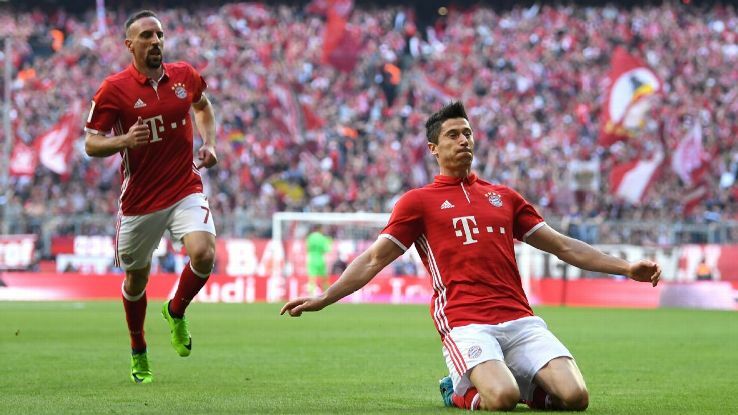 Bayern Munich, having won their last Champions league match, have advanced to the knockout phase of the tournament this term. In the match against PSV Eindhoven on Tuesday, Bayern was able to upturn the 1 goal deficit and win the game by a goal margin. 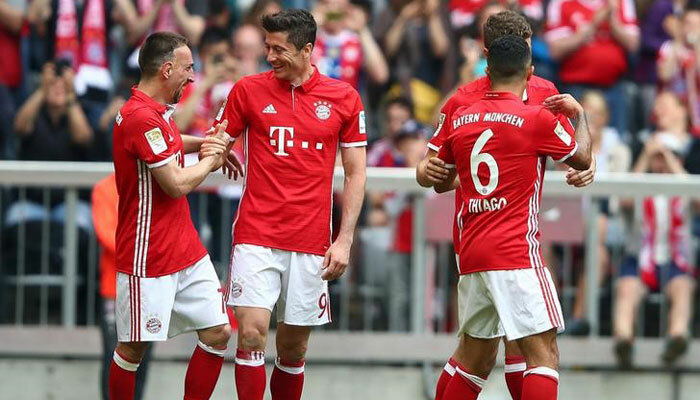 Bayern Munich’s star striker, Robert Lewandoski was definitely the star player of the match as he scored twice to equalize and give his team mates the much needed lead. He had previously struck the woodwork twice before scoring the equalizer from the penalty kick. The penalty kick which led to the equalizer, came in the 34th minute of the game after Andres Guardado, a PSV midfielder committed a handball within his own eighteen-yard box. The second goal came in the 73rd minute after a square ball received from David Alaba was deftly steered into the opponents net. The win has this ensure that Bayern advances to nine points, holding the second position on the Group D table, while Atletico Madrid sits comfortably on the top of the League table with 12 points. Below, occupying the 3rd and 4th position are Rostov and PSV, each with just one point from four matches. PSV Eindhoven really needed to win this game, if they were going to repeat their last year’s feat of having gotten to the last 16. Luckily, they came on the game with much gusto and by the 14th minute, they were leading by a goal. Unfortunately, this lead could only last for about 20 minutes as Lewandoski’s penalty ensured that PSV’s hopes were dashed. This means that PSV will now be looking away from the Champions League and towards the Europa League. However, they would need to beat Russian club, Rostov in order to clinch the third place position for that to happen.